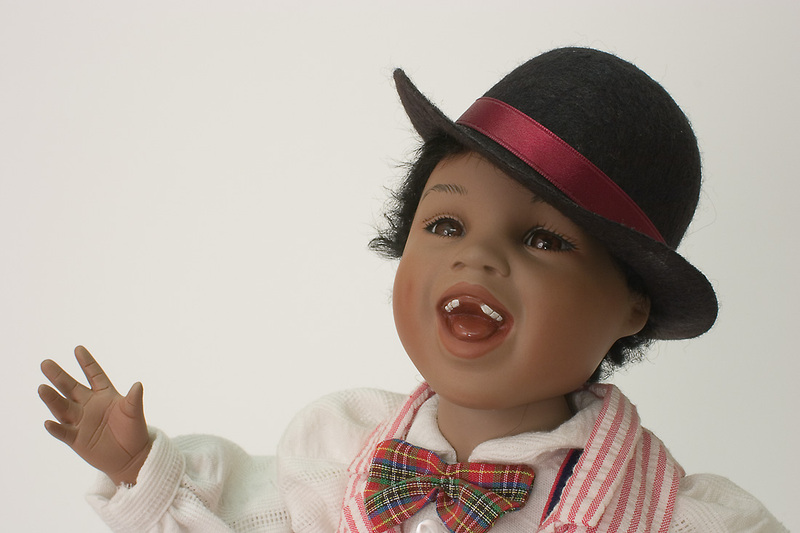 Bojingles is an approximately 14 inch tall African American boy who is full of life and of dance! You might encounter him on the streets of New Orleans! 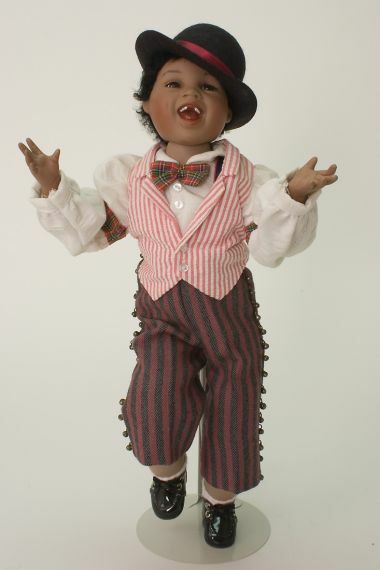 With his derby hat, vest and striped pants adorned down either pant leg, his arm bands and bow tie, his black patent tap shoes, and his grand ole smile, he has everything an aspiring entertainer needs . . . all but his two front teeth! Bojingles is an Original by Yolanda Bello. 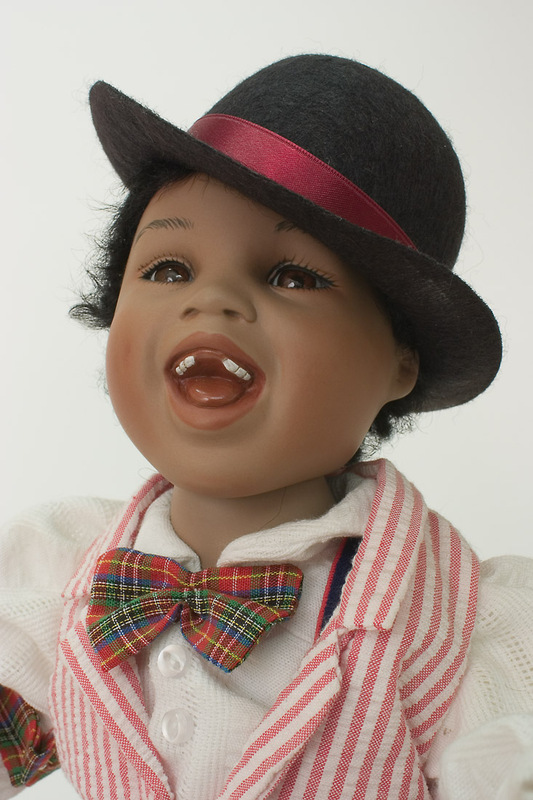 He is a porcelain soft body limited edition 250 doll, with German glass eyes. He has porcelain head, part bodice, and limbs with armature.